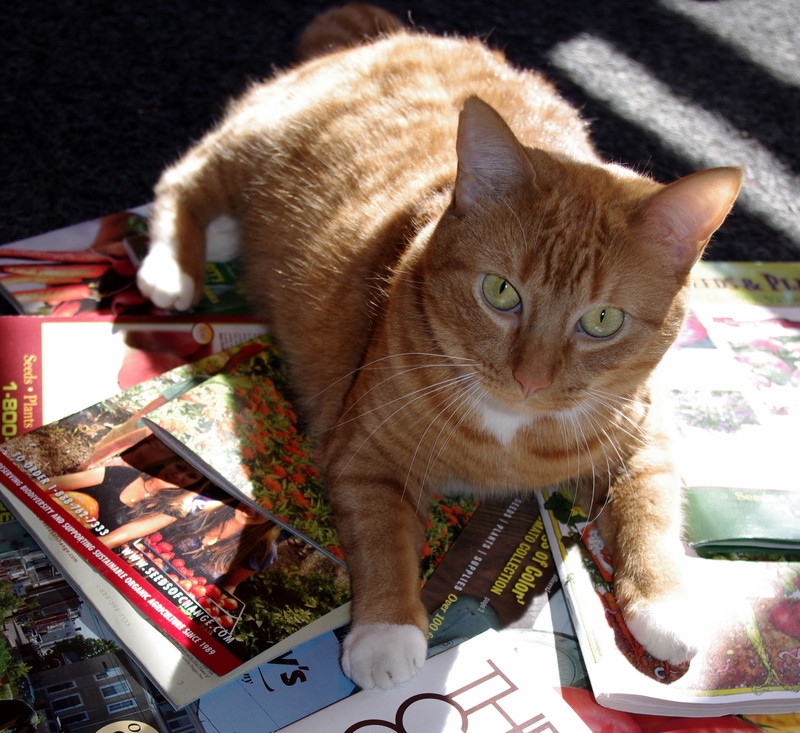 Loretta likes seeds catalogs, too. Last year seeds were sourced from a variety of seed companies. Unfortunately, the most local of those providers sent a packet of damaged radish seeds (which they replaced after a couple of nudges), a not a poblano, and scarlet runner beans that failed to germinate. So this year, Seeds of Change carries the POD load. 3/8/11 UPDATE: Or, rather, POD wanted them to carry the load. 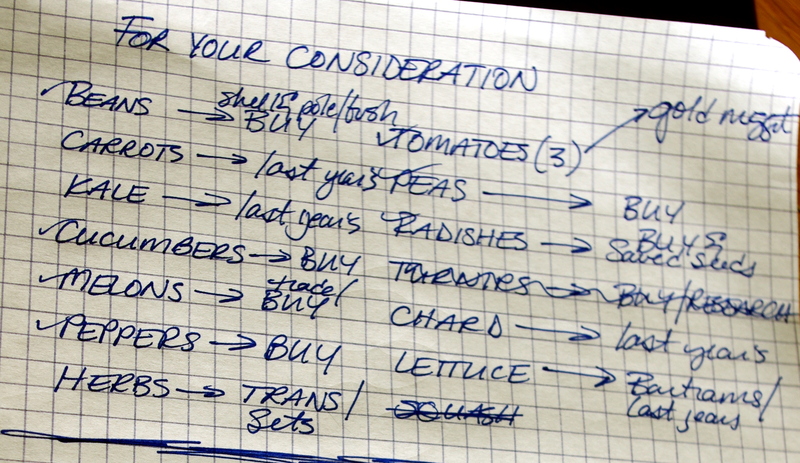 Turns out their poblano was back-ordered [indefinitely], they were out of the black-seeded blue lake bean, the Kiara F-1 charentais hybrid was a bust, the Akito F-1 cucumber cost more than a night at the movies (for two), and not so much on the pea availability. Next year? Perhaps being virtuous will be abandoned in favor of big seed purveyors — thus reducing this gardener’s blood pressure significantly. While all those skinny ladies prepare to make their way along the red carpet, POD took a couple of seed catalogs for a spin. There are, indeed, going to be plenty of plants on deck this year.